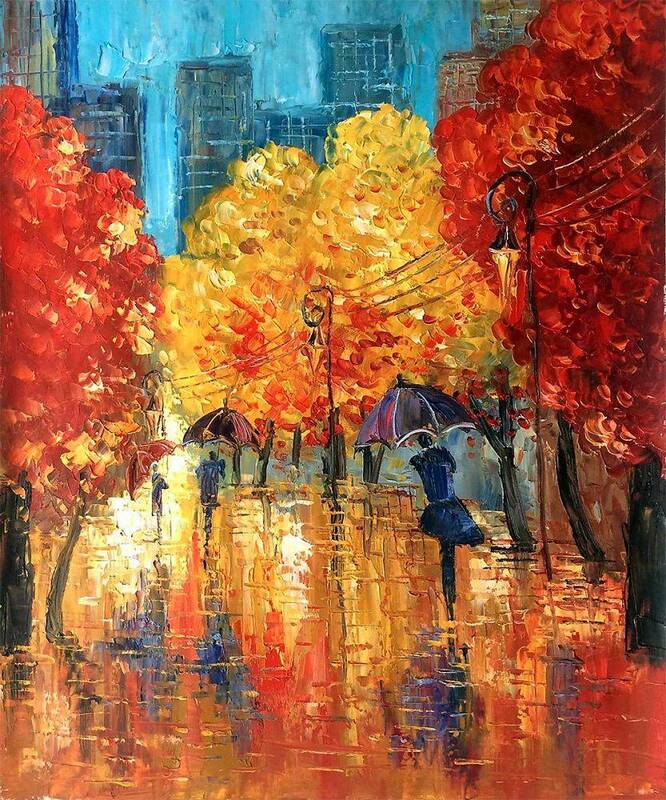 In Autumn (Umbrellas), contemporary Polish painter Justyna Kopania captures the beautifully vivid and fleeting colors of fall from a fresh perspective. 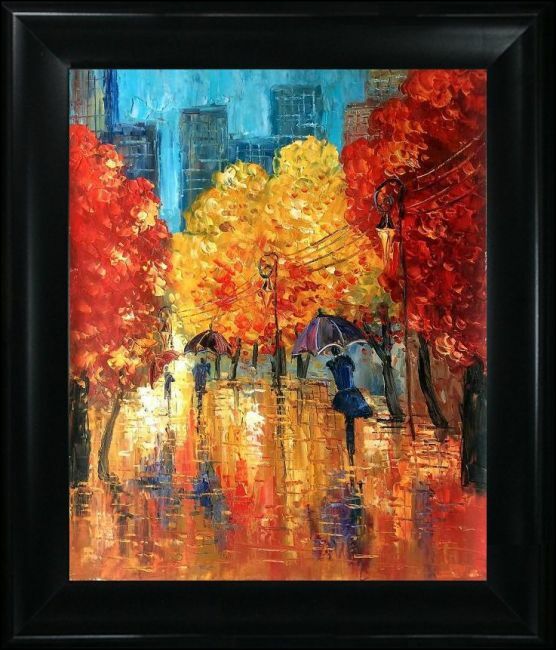 Rainy reflections on the ground make this canvas come to life with vivid and stunning texture and tone. 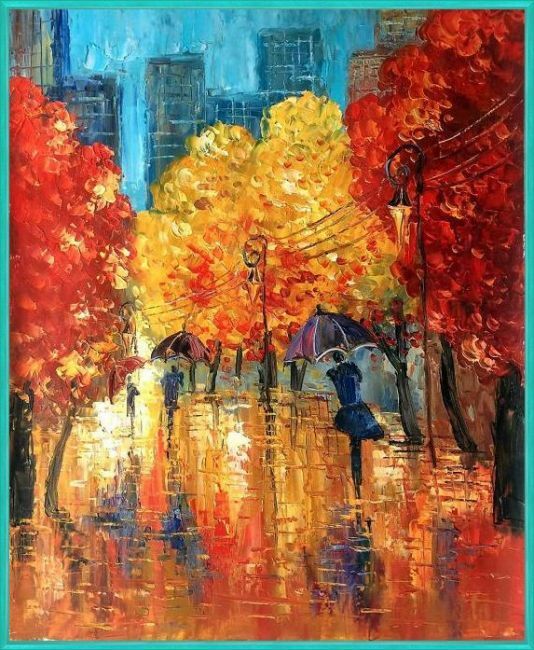 A simple cityscape is utterly transformed by the colors and raindrops to create a spectacular scene. 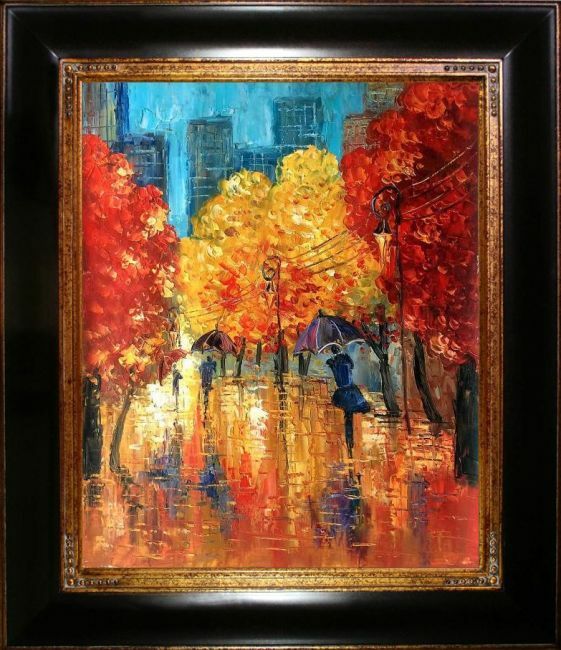 Though the weather is overcast and rainy, this is an undeniably hopeful and charming scene that you'll never tire of seeing. 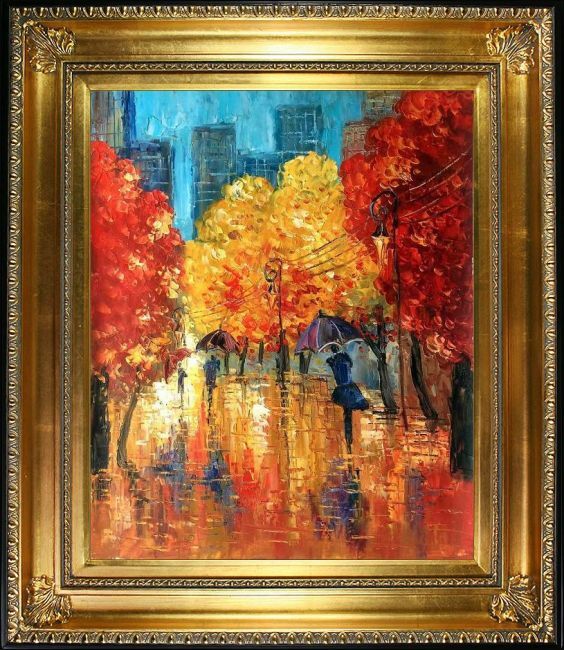 When you add Justyna Kopania's Autumn (Umbrellas) to your home, your office or your business, you'll get to enjoy this captivating scene each and every day. 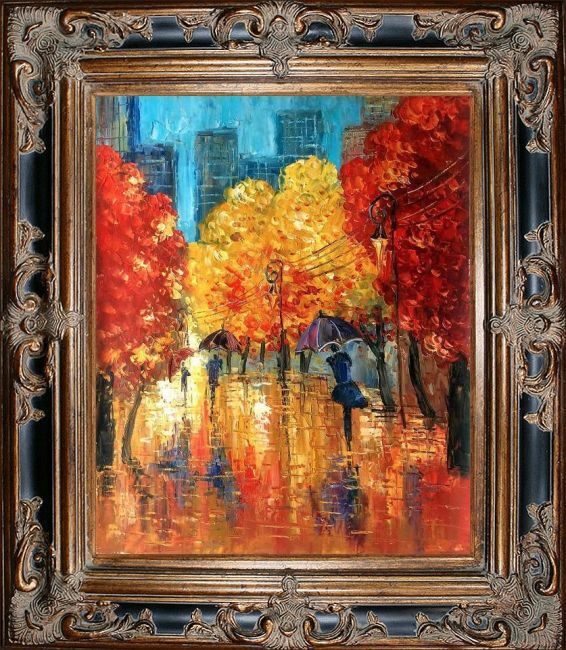 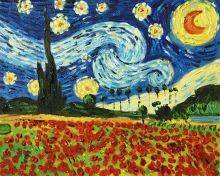 With bold colors and brush strokes, our artists have masterfully recreated this work in this oil painting reproduction from overstockArt.